Sharing borders with sales teams: Do the CMOs share sales revenue goals? 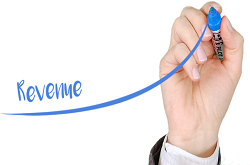 Do CMOs share sales-revenue goals with their Sales counterparts? From prepping the marketing team to building pipeline and enhancing customer engagement, the CMO is getting busier by the day. Let’s understand how the role of CMOs is being modified even as the CMOs extend a hand towards the CROs (Chief Revenue Officers) and Sales heads. Previously, the sales executive was the single direct touchpoint with the customer. But now, thanks to the advent of the internet, that has changed. The role of CMO is no longer restricted to creating a promotional strategy, but has moved beyond to also achieve customer acquisition. This particular objective demands that the CMOs have a closer association with the CROs so they gather enough insights to know the customer well. The border between the Marketing and Sales teams is blurring, and the relationship is getting stronger. In the past, marketers had to promote and the salesmen had to sell. That norm is slowly disintegrating now. Sales teams are responsible for sales but they will have help from the marketers. It is all about a shared relationship between the CMO and the CRO with an objective to build a lasting bond with the customers. How about shared revenue goals? A survey by Forrester Research has revealed that about 82% of the surveyed marketers find that their goals are now directly aligned with revenue targets. This is a major shift from the way marketing function was perceived a few decades ago. Be it the rapid proliferation of the internet or the brewing competition or the ever-evolving consumer, marketing department is no longer about one-way communication and branding awareness. In order to achieve the revenue objectives, marketers are now required to align even more closely with sales teams. Sharing of data— regarding sales, customer behaviour and customer lifetime value— between the CRO and CMO has become common these days. The CMO, in return, is only happy to share data on customer traffic, customer engagement, customer digital footprint and other offline marketing measures. Even as data gets shared, the most remarkable thing, perhaps, is the improving chemistry levels between the two teams. The following synergy is what will help them achieve the common objectives of better offerings, better customer service and higher customer retention. The fact that the line between the CMO and the CRO is getting thinner is reaffirmed by the same Forrester report, where 65% of the B2B marketers said that they are evaluated by their pipeline growth. Previously, there has been lesser emphasis on the difference between marketing activities and the results they had created. But now, this is no longer the case. A prominent shift away from the regular has been the intent of the CMO to measure marketing activities using metrics and to also evaluate these activities based on results achieved, revenue wise. This is the stark difference from the mindset of the marketer of the past. The present-day marketers are being proactive and are showing intent towards achieving revenue results. Next up: How CMOs share borders with sales delivery teams. « What is a good sales pitch when you pitch to the CMO?